The opening round of the IAME X30 Euro Series is held this weekend in Mariembourg. 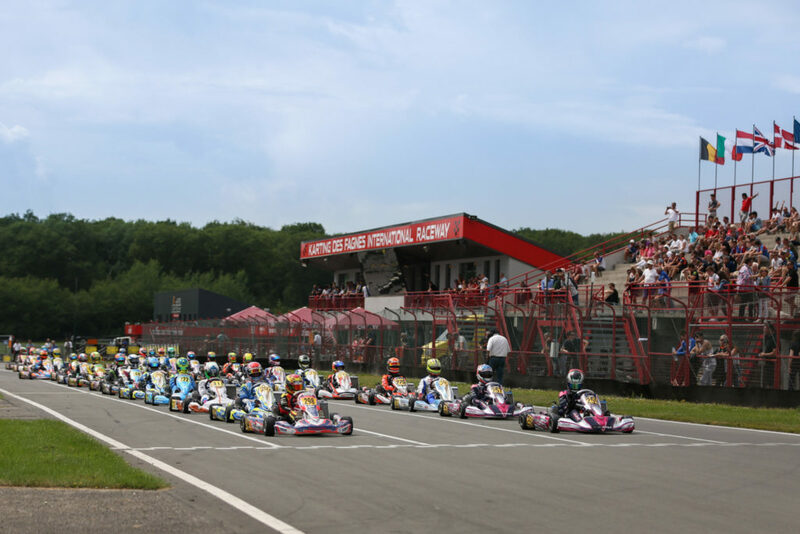 A few weeks after the Winter Cup in Valencia, more than 180 drivers from 20 countries are gathering to the legendary “Karting des Fagnes” in the south of Belgium to compete in the kick-off event of the 2019 series powered by IAME and organized by karting promoter RGMMC. Mariembourg, 27 May 2018. IAME Euro Series, © 2018, Alexandros Vernardis / The RaceBox. With a layout of 1366 meters, the International Raceway of Mariembourg has one of the longest tracks in Europe located in a green touristic area. Over the past seasons, the circuit has been investing in its facilities including a large cafeteria, locker rooms with showers, a superb restaurant with a panoramic platform from where you can easily watch the action on track. In 2018, Mariembourg was already part of the IAME X30 Euro Series when its second round took place at the end of May with 140 drivers. From thrilling racing came out a complete shake-up of the championship with new podium winners in the likes of Alejandro Melendez (Mini), Enzo Joulie (Junior), Elie Goldstein (Senior) and Sten Dorian Piirimagi (Super Shifter). Drivers will be split into four classes this weekend: Mini, Junior, Senior, and Super Shifter. Click here to find the complete entry list. For this year’s edition of the X30 Euro Series, IAME has decided to make a few technical adjustments. First, in the Super Shifter category, the only type of carburetor allowed in Mariembourg and for the entire season is the one produced by the Tillotson brand. To help teams adapt to this change, technical support from both the Tillotson factory and IAME will be present at the events. Second, an additional silencer will be mandatory for both the Junior and Senior classes due to regulations applied in Belgium for the respect of the environment. To help you follow this year’s first round of the IAME X30 Euro Series in Mariembourg, a special page will be available on this website from Friday morning with Live Timing, Live Streaming (by Telemundi Media, on Saturday and Sunday), plus our reports published every day to keep you up to date with the results. More information to be found on the official website of the IAME X30 Euro Series by RGMMC.